The Italian language is spoken by more than 60 million people residing all over the world. In this hemisphere there are more than 10 million descendants of immigrants from Italy living in countries from Canada to Argentina, with the United States second only to Italy itself in number of Italian-speaking residents. Italy is also the fourth most populous EU member state, with the third largest economy in the Eurozone and the eighth largest economy in the world. It is also home to the most World Heritage Sites in the world (51), and is the birthplace to some of the most significant figures in Italian and world history, such as Leonardo da Vinci, Galileo, Michelangelo, Machiavelli and Marco Polo. The Italian Studies Major is for students who are not necessarily interested in advanced language proficiency, but all the same are interested in a comprehensive understanding of Italian literature, history, society and culture to enhance their understanding of global diversity. 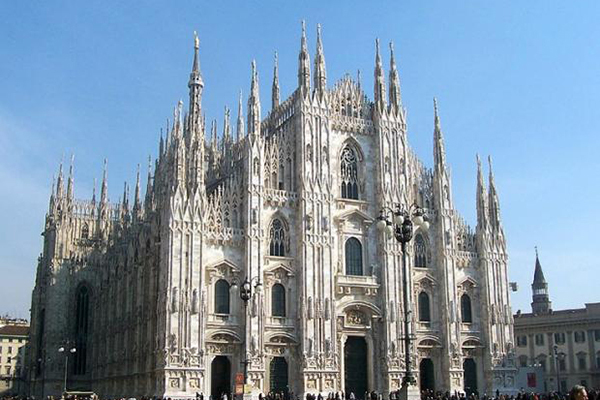 The Italian Studies Major includes courses in Italian and English from the Department of French and Italian, and a selection of courses from the departments, centers and schools of: Architecture, Classics, English, History, History of Art, Medieval and Renaissance Studies, and Music. The overlap of course requirements with Classics, English, History, History of Art facilitates double majoring and we encourage students to consider shortcuts to double majors. The Italian studies major includes courses taught in both Italian and English from the Department of French and Italian, and a selection of courses in architecture, classics, English, history, history of art, medieval and renaissance studies, and music. Prerequisite requirements include either Italian 1101.01 (Italian I) through 1103.01 (Italian III); 1101.02 through 1103.02 (hybrid offerings); 1101.03 through 1103.03; or 1101.61 through 1103.61. Alternatively, students with a knowledge of Latin or a Romance language may take Italian 5101 (Intensive Italian). The Italian studies major requires at least 30 hours, including Italian 2102 (Contemporary Italian Society), nine hours of courses taught in Italian, nine hours taught in English and nine hours of courses from outside the Department of French and Italian. Have a question about Italian Studies or want more information? Let us know. Students should begin considering and planning for a study abroad program as soon as they have decided to major in Italian studies. Students can find specific information about various programs from the Italian study abroad advisor in the Department of French and Italian. In the summer, those students interested in language courses can study in Lecce, located in the “heel” of the peninsula, and those seeking content courses in Italian are encouraged to study at the full-immersion service-learning program in Siena. Students interested in taking course work in English while in Italy should consider taking courses at the Sant'Anna Institute in Sorrento. Students can also study in Lecce or in Siena during the academic year, and the Office of International Affairs can provide more information about other programs offered during the academic year. 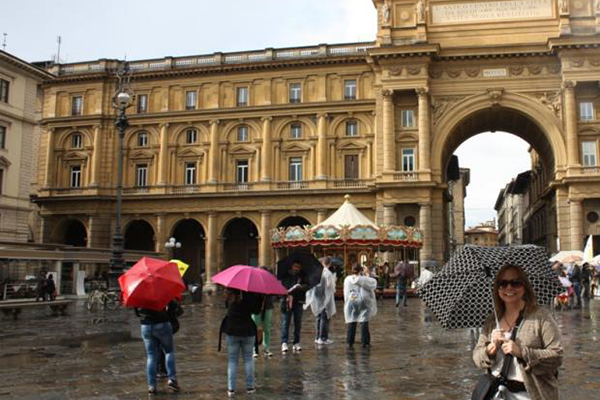 The Italian study abroad advisor in the Department of French and Italian can help students determine which course credits can transfer. Students can apply for the 12-credit American Institute for Foreign Study (AIFS) internship in Rome. This semester-long program combines workplace learning with classroom-based studying. Students attend intensive language classes in Florence and Rome and are placed in different fields, including international embassies, cultural institutes, charitable associations and fashion companies. Students can also apply for the Sant'Anna Internship program in Sorrento. Available as a five week summer session and during autumn and spring semesters, this program combines workplace learning with classroom-based studying. Placements are available in many fields, including architecture, business, communication, marketing, law, culinary arts, education, environmental studies, hospitality and tourism, music, social work and more.